Sweet Sincerity: MORE OF EVERYTHING! Really...Everything! MORE BABY...Today I had the great privilege of babysitting my 1 month old niece! Her mommy had to go to the dentist, and I, since I work from home, was the perfect candidate to watch baby Kahlyn Rose. That is pretty much all I did while she was at the house...Watch! She slept almost the whole time! She did wake up when I changed her diaper though. That girl does not like getting undressed, I think she gets too cold! At least her parents can rest easy knowing she won't grow up to be a nudist. :) Can you believe the face she is making in this picture!? So hilarious... 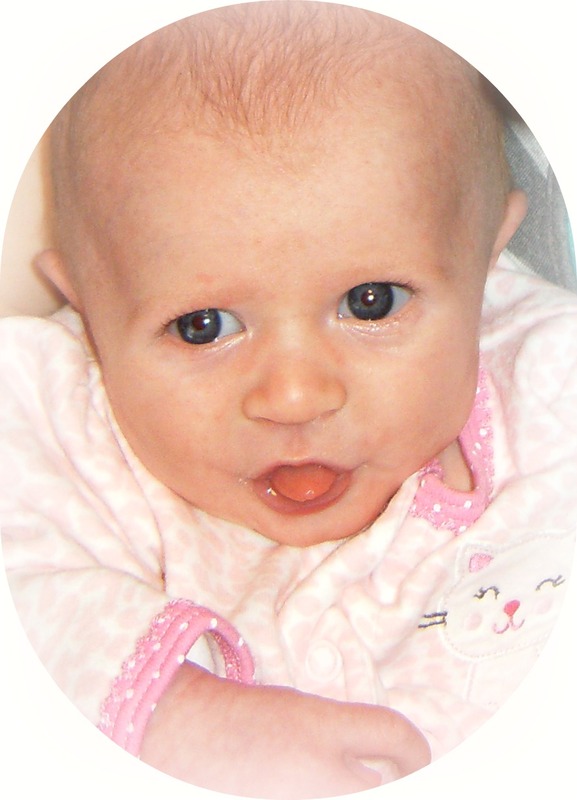 Doesn't it look like she's sticking out her tongue at me? LOL! 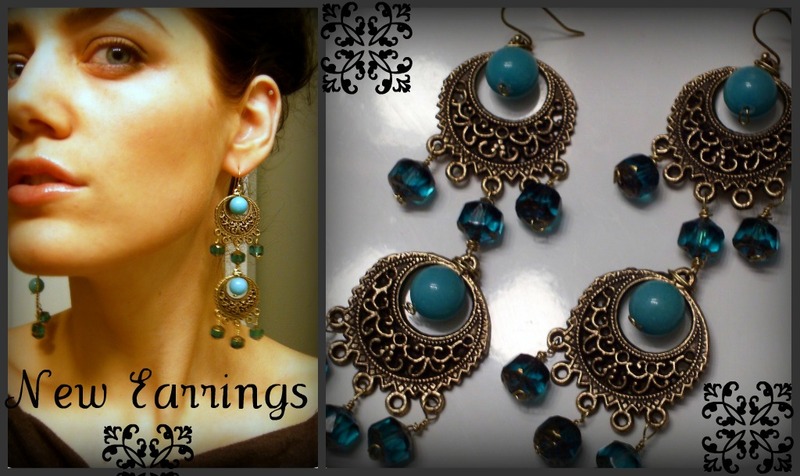 "ABSOLUTELY STUNNING EARRINGS! I LOVE them soooo much! 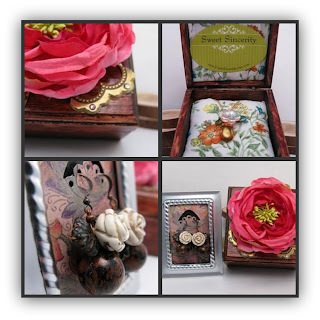 The wooden box is gorgeous too, so pretty and perfect for the jewelry. Thank you so MUCH I LOVE everything- what a fabulous designer you are!" MORE BLOG FEATURES...In other ego affirming news, one of my customers, who is also a wonderful Etsy seller, kippyssomature, featured me on her blog! Check it out! I absolutely love the pictures she took of my items! 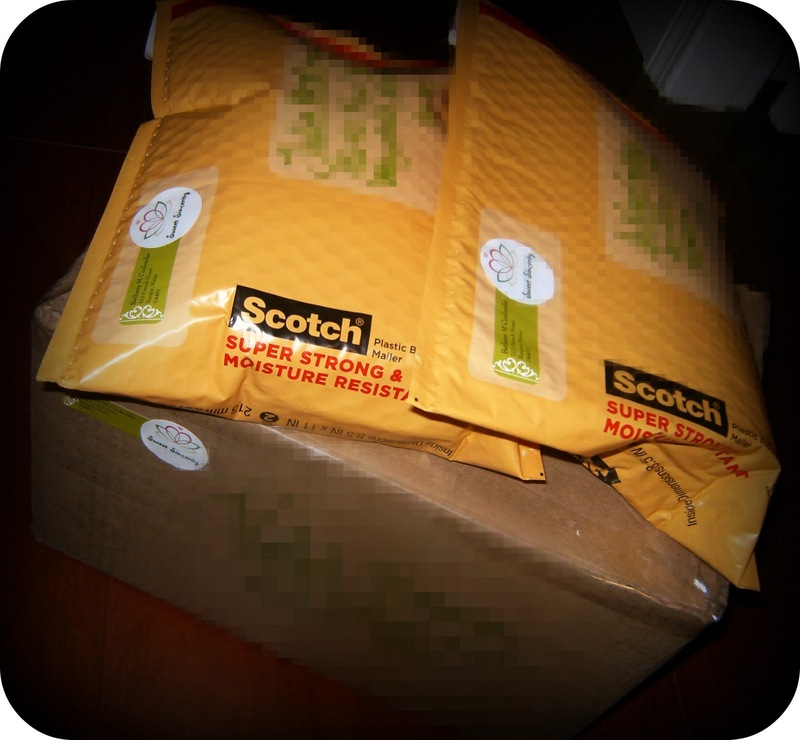 She really liked the jewelry box I included in her order and the way I packaged the earrings she purchased. Please visit her blog and leave a comment if you can! MORE ITEMS...I only have a couple of orders to complete and ship out tomorrow. That means I will be listing more items in my shop! Hooray! I don't even know if I will make it to the post office tomorrow because we are supposed to have SEVERE WINTER WEATHER! I sure hope it's not as bad as the weather man is predicting... I have important things planned for tomorrow that include GETTING OUT OF THE HOUSE!!! 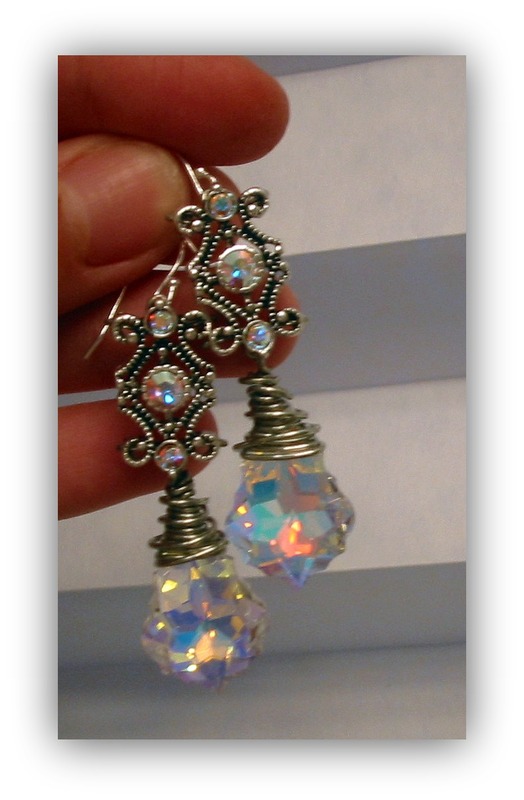 Check out my latest creation that I plan on listing in my Etsy shop tomorrow. I finally bit the bullet and created a new piece tonight. These GORGEOUS earrings are composed of luscious blue zirconia, smooth turquoise stone beads, antique brass filigree metal findings, brass wire work, and 14K gold plated ear wires. I LOVE these earrings. They are a little exotic, a lot glamorous, and fantasticly creative. The closeup that my new camera took of these beauties thrills me! I can't believe my closeup picture turned out so good, even without natural lighting! Yay! Happy New Camera Dance! Your niece is precious! VEry interesting blog. I'm new to the Crafty Housewives...lots of talent.